Introducing a new feature for Chiron Health clients: Clinical protocols and customized telemedicine software training. Let us help you create a customized telemedicine formula specific to your practice and your patients. Our newly revamped training series removes the gray areas of telemedicine to help you and your staff become more knowledgeable on the platform and confident in offering telemedicine appointments to patients. 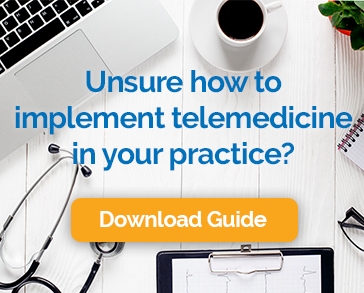 To improve your telemedicine program, you can select from several training types, each uniquely designed to guide your practice through key areas of both the Chiron Health product and general telemedicine best practices. In addition, a Chiron Health clinical specialist works with your practice to build clinical protocols to guide decisions and determine whether telemedicine is appropriate to address a patient’s concerns. Telemedicine clinical protocols are agreed to by the doctors and staff in your practice. These guidelines set a standard for when telemedicine is appropriate in your office, removing any questions or gray areas from the process. To schedule a training or clinical protocol session today, email us.